Are you familiar with how your business site is hosted? Many companies, especially smaller firms or those with a limited need for a digital footprint, use something known as “shared hosting.” This reduced cost service allows multiple sites to be hosted on one server, with resources being allocated on an as-needed basis. This can result in sites going down due to too much resource usage. Managed VPS hosting or managed dedicated hosting eliminates this issue, along with many more. Shared hosting, the main alternative to VPS hosting, can fail at any time. All it takes is one company to have an influx of business, and a ripple of disconnections can ruin business for dozens of companies. Most shared hosting plans are unmanaged, meaning when this happens you have no choice but to wait until someone gets around to fixing the problem. Managed VPS hosting comes with the guarantee that someone will be available around the clock, to prevent any problems from occurring. While managed VPS hosting is great and cost effective for small business, if you want to have your own dedicated server because of software requirements or company policies then managed dedicated hosting is your next best alternative. 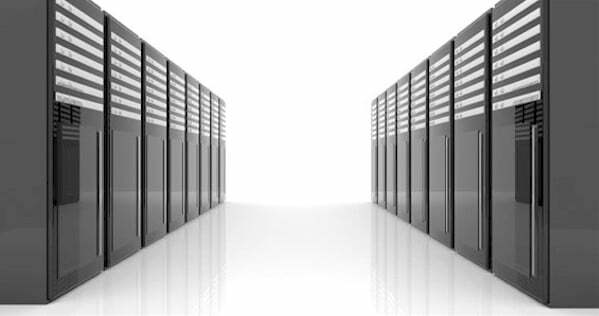 Here are the main advantages managed dedicated hosting can offer to businesses. There are two main security improvements that come from managed dedicated hosting: on call security and data separation. Odd things have a way of waiting until three in the morning to occur. If a scheduled patch messes up a website or someone bypasses the firewall and stuffs malware into the mail server, then the productivity for the following day is shot. The only way to prevent this is to have a team of dedicated professionals with the skills and experience needed to notice these problems and correct them as they occur. While rare, there have been instances where a security flaw in one site’s setup has led to multiple sites being compromised. On servers where much of the backend is the same, this can translate to customer or employee databases being compromised. A dedicated server has no physical, or software, links to the rest of the hosting company’s services. DDOS (Distributed Denial of Service) attacks occur when someone floods a server with data requests, until it is unable to respond to anything. This is a major concern for those on shared (or unmanaged dedicated) hosting platforms. When one site is attacked, it can bring down everything hosted on the same server. A managed dedicated host will be able to quickly take action and resolve the issue keeping your server online, and your customers happy. Requirements (both hardware and software) change over time, as clients and projects change in scope and duration. One of the greatest benefits of outsourcing web hosting is the ability to utilize the right tools when they are needed, without having to be concerned with costly capital expenses. Managed dedicated hosting guarantees that if you need more resources for your company, you will be able to obtain them that very day. With unmanaged solutions, it can take over a business week for new servers to be allocated. Having the dedicated staff available immediately can help improve the bottom line, since you will be able to serve your customers immediately. Having a team of dedicated professionals available around the clock will enable you to swiftly update your server’s software to take advantage of the newest features that the underlying technology can provide. A dedicated hosting company can handle dozens, if not hundreds, of clients for the price that it would cost for a single company to purchase all of the equipment and hire the needed personnel needed to monitor it. This results in a vastly reduced overhead cost per managed dedicated site, allowing the hosting company to offer the service for a fraction of what it would normally cost if done internally. Managed dedicated web hosting provides the best of both worlds. You are able to obtain the lowered costs that come with outsourcing the hosting while still maintaining the flexibility that comes with a dedicated server and on-call 24/7 support staff. By not sharing resources with other websites, you guarantee that you will not be negatively impacted by a sudden surge in popularity for another company. Additionally, you will be able to quickly, and cheaply, increase your server resources as the need arises. This allows you to position yourself to meeting the needs of your clients in real time, without having to waste valuable capital in unneeded server capacity. I was really confused which hosting service to choose for my business website before I came across this blog. Thanks for your insights, I’ll definitely go for managed dedicated hosting now.